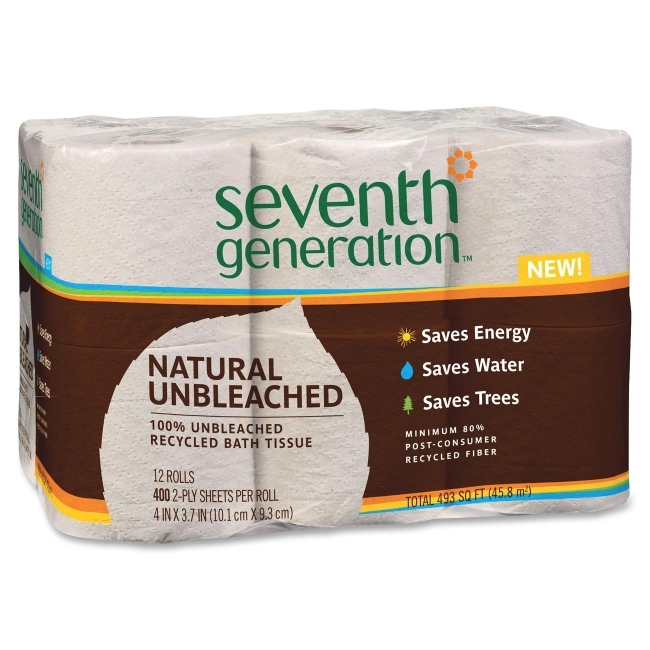 Full Size: 4" x 3.70"
Natural, unbleached bath tissue gives you the softness and strength you want and helps you lessen your impact on the planet. High percentage of recycled content takes bathroom tissue to a new level of sustainability. Natural unbleached design saves more natural resources compared to virgin or whitened recycled products by eliminating the whitening process, which saves water and energy. Unbleached pulp paper is made with a high percentage of post-consumer recycled content, and its unique color visually cues care for the environment in a way white paper cannot. The two-ply tissue comes in rolls that fit standard household, bathroom roll dispensers. Each sheet measures 4" x 3-7/10".